Scientists used induced pluripotent stem cells (iPSCs) to produce and engineer cartilage that opens up new treatments and therapies for patients with damaged cartilage, cartilage injury, and osteoarthritis. Since the introduction of stem cell technology, its manner of procurement has garnered much moral debate. Initially, stem cells are taken from human embryos about four or five days after fertilization. Stem cells are pluripotent. This means that they have the ability to transform or differentiate into a higher form of cell, tissue or organ. It is this ability that scientists look to as the next evolution of medical science. In the future, instead of manually repairing a tissue or organ, stem cells can be grafted into the affected areas and they will repair the damage by growing the necessary tissue or even a whole organ. In 2007, a team of scientists from Kyoto University, Japan led by Shinya Yamanaka managed to produce a type of pluripotent stem cell artificially derived from a non-pluripotent cell. Yamanaka managed to convert an already adult cell back into its' early stem cell stage. Of the four current ways to produce stem cells, his process is the only one that does not require an embryo. For this discovery, he (along with John B. Gurdon) was awarded the 2012 Nobel Prize in medicine. Another advantage to using iPSCs, is that scientists believe that since the stem cell is procured from the patient himself, the process would address and avoid any immunogenic responses. Articular cartilage is the tissue that allows joints to absorb shock and rotate and glide smoothly against each other. It provides a frictionless surface for the bone joints to interact with each other. Without articular cartilage, bone joints will be grinding against each other generating excruciating pain in simple activities such as walking, climbing or even getting up from a chair. 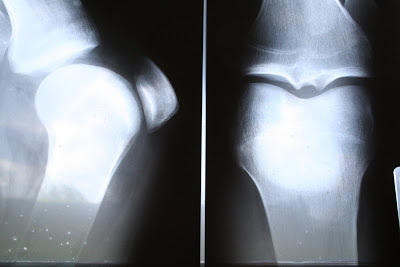 Because articular cartilage has a poor capacity for repair, cartilage damage and osteoarthritis are leading causes of impairment in older people and often requires joint replacement. Osteoarthritis affects around 21 million adults and has no treatment available outside of joint replacement and pain management therapy. A team of Duke Medicine researchers, led by Brian O. Diekman, PhD., have used iPSCs to successfully engineer cartilage for use in tissue repair and studies into cartilage injury and osteoarthritis. The finding is reported online Oct. 29, 2012, in the journal the Proceedings of the National Academy of Sciences, and suggests that induced pluripotent stem cells may be a viable source of patient-specific articular cartilage tissue. The aim of the study is to apply recent technologies that have made iPSCs a promising alternative to other tissue engineering techniques, which use adult stem cells derived from the bone marrow or fat tissue. Using a technique with iPSCs from mice, they used differentiated chondrocytes. Chondrocytes are cells that produce collagen and maintain cartilage. The scientists produced cartilage components which includes collagen that showed the characteristic stiffness of native cartilage. This suggests that they would work well in repairing cartilage defects in the body. "This was a multi step approach, with the initial differentiation, then sorting, and then proceeding to make the tissue," Diekman, a post-doctoral associate in orthopedic surgery, said. "What this shows is that iPSCs can be used to make high quality cartilage, either for replacement tissue or as a way to study disease and potential treatments." "The advantage of this technique is that we can grow a continuous supply of cartilage in a dish," Guilak said. "In addition to cell-based therapies, iPSC technology can also provide patient-specific cell and tissue models that could be used to screen for drugs to treat osteoarthritis, which right now does not have a cure or an effective therapy to inhibit cartilage loss."